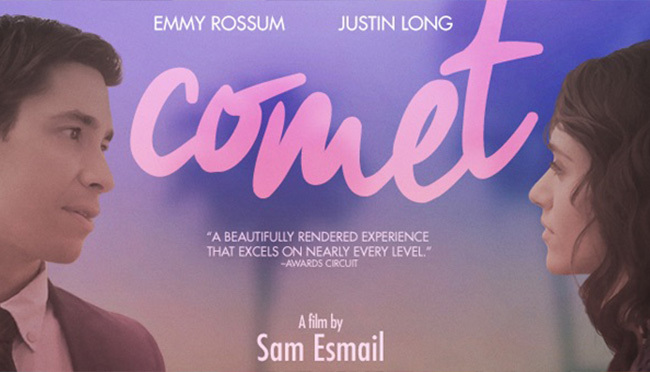 We worked with Content Film to manage the UK theatrical and home entertainment release campaigns for Comet, a stunning romantic comedy by Sam Esmail (Mr. Robot) starring Emmy Rossum and Justin Long. We managed marketing, publicity, event screenings, digital content and social media to promote the release. We secured quality press coverage with a wide range of media outlets, including The Guardian, Newsweek Europe, i-D Magazine, Vice, Daily Mirror Notebook Magazine, Daily Mirror Online, Daily Express, Mail Online, Sight and Sound, Empire, Movie Pilot, Look Magazine, Radio Times, Flavour Mag, Bring the Noise, Film Juice, Candid Magazine, Show Film First, Vulture Hound, Culture Fly, Flush the Fashion, Female First, Beauty and the Dirt, and much more.